Talking about richest golfers in the world the first names that comes to mind is legend (Tiger Woods). Woods the all time money leader in golf prize money winners list. 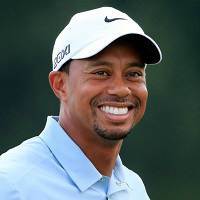 Tiger woods a few years lead the list of highest paid athletes in the world by (Forbes). He won all four major golf tournaments that makes him the money leader in golf career. One of the greatest golfers from United States of America. Tiger Woods is most marketable athlete from (Golf) who earned most money from the endorsement deals. He signed with top brands that bring big money to his account that him the all time richest golfer in the world. According to forbes Woods make ($37 million) from the endorsements. He endorsed for the brands like (TaylorMade, Bridgestone and Monster Energy). He won the (PGA Championship and US Masters) four times in his career. Woods received award of the (PGA Tour Player of the Year) 11 times in his career and (11 times) PGA player of the year. Tiger woods hold the famous records such as (Longest golf drive on the PGA Tour, Largest margin of victory in the golf US Masters, Largest margin of victory in a golf major championships and youngest winner of US Masters).